Not exactly the traditional way to play, but there’s no harm in taking down the last guy in style. 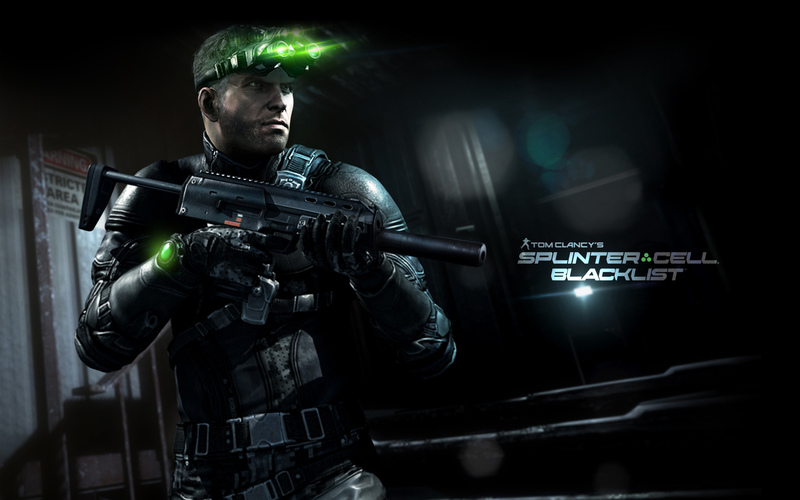 Most games would want to go for a fireworks display of bright colors with loud bangs and whistles, but Splinter Cell is devoid of all of them except for the whistles (veteran players will know what I’m talking about). 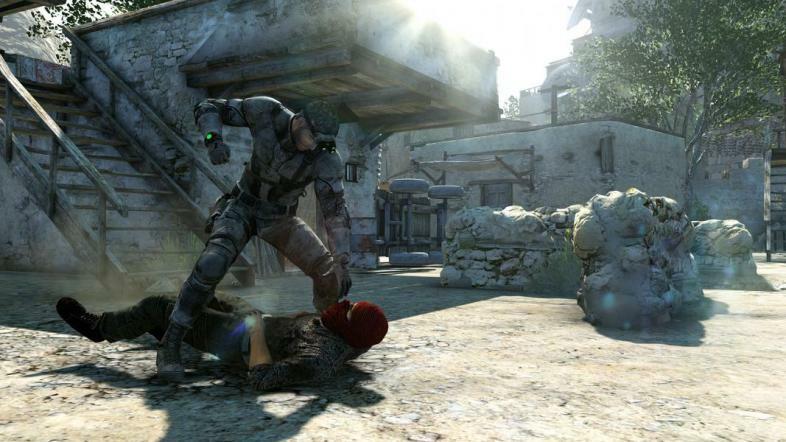 Splinter Cell is a game of shadows and silence. A game for the small cohort of realistic players who prefer tactical proficiency over exaggerated bangs and explosions. When you’re behind enemy lines, it’s not the best time to question your morale. You better be on full alert using all the skills you’ve got to survive or you perish unceremoniously behind hostile enemy lines. Stealth and silence can bring you to the edge of your seat as much as thoroughbred action can. Once you’re caught it’s game over, the anticipation and suspense riles you up as much as loud gunshots and explosions can, if not even more because you can literally taste the tension in the air while the guards turn every nook and cranny inside out searching for the intruder and you somehow manage to stay hidden making fools out of them. You feel your pulse quicken irrationally as you crouch behind the shadows lying within the direct line of sight of the approaching security guard. This is not because the AI in the game is second grade but because of the fact that the tactical ops suit you’re wearing is made up of specially engineered carbon filaments that are capable of absorbing 99.9% of light falling on them. You lie in wait like a predator of shadows till the guard turns around exposing his back to you and you slide your serrated blade effortlessly through one of the seven hotspots that cause immediate death and drag him back to the shadows. Got any last wishes? You know what? It doesn’t matter, just RIP. It would be blind suicide to walk out in front of an entire battalion armed to the teeth and donning heavy ballistic armor, however big your guns may be. But when you choose to go all quiet, you become a grim reaper stalking behind shadows, claiming souls at your mercy and you watch the panic mount as the guards start realizing that their numbers are thinning out. The radio chatter spikes up in a frenzy, “Hey Joe! Come in, dammit. Why has he gone silent, someone go check his patrol area”, some static and a fevered reply, “I’m on it”, and all you have to do is lie back in a comfortably hidden spot as you wait for your next victim. Yeah, I know the fire FX looks beautiful. But you’ve got work to do, so start moving! Splinter Cell does a great job at making the player stick to the story and concentrate on progressing further through the story. 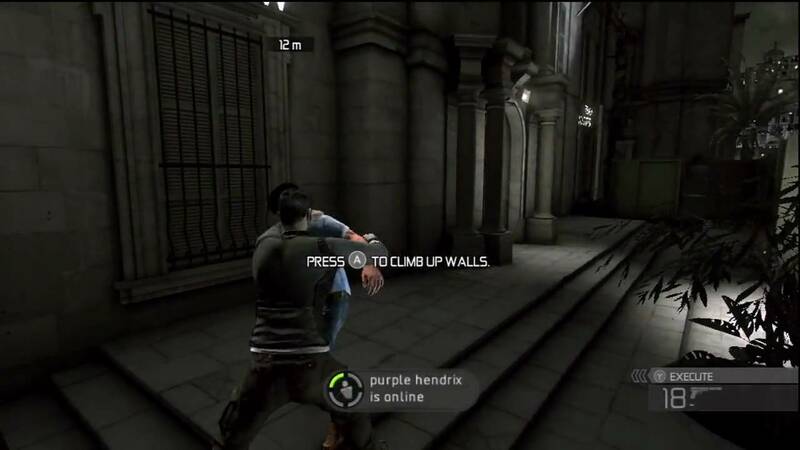 Most of the open world games from Ubisoft offer a lot of distractions in the form of side quests and minor missions not strictly related to the main story. This can often throw you off track from the main story if you spend a lot of time on these little skirmishes. But Splinter Cell is great at keeping you engaged with the story, if you don’t take into consideration the fact that most Splinter Cell stories are not that engrossing. I’ve got you in my sights, but who can capitalize first? You can either take the role of a Spy, the perpetuators of silence and darkness or you can play as a Merc, the wielder of heavy weapons hitherto unknown. 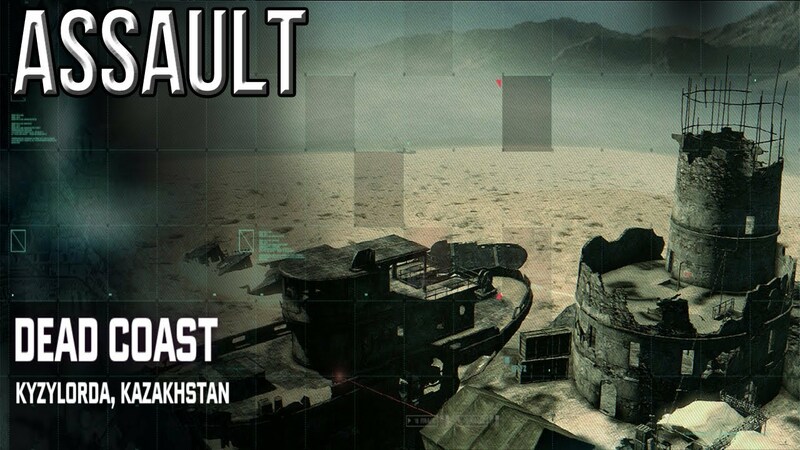 The objective of the Spies is to hack computer terminals placed around strategic locations in the map while the Mercenaries hunt and flush them out of the shadows. The Mercs are heavily armored and can absorb a hellish amount of damage which literally translates to the fact that you can’t take them out with a single bullet to the head. In fact, your weapons are totally useless against them. The only way to take them down will be to get out there and get your hands dirty. You’ll have to sneak up behind them, slide your blade between the helmet and body armor and… well, you know the rest. Or you can drop on them delivering the notorious “Death From Above” or hang from a catwalk and drag them down for a quick kill, just easier alternatives but more difficult to find the right opportunity to execute them. 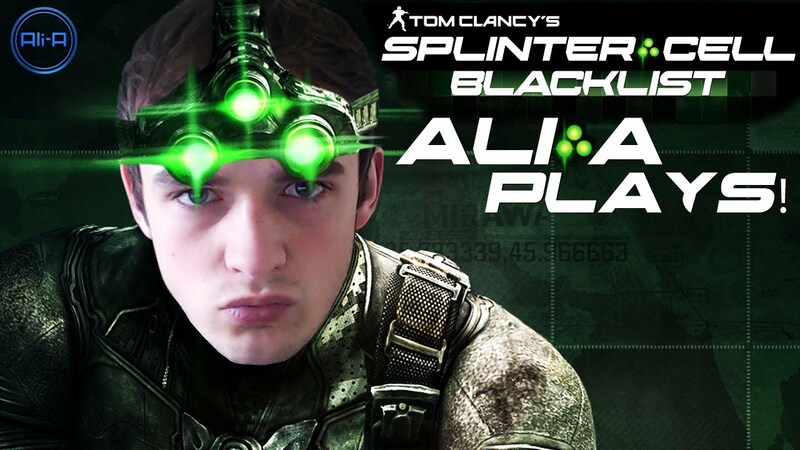 Spies vs. Mercs gameplay by Ali-A. The usual and obvious difference between the single player version and its online counterpart is that you’ll have to deal with real humans rather than just the game’s AI lumbering around. The fact that this is a stealth game raises the realism bar to an entirely new level, making it akin to an experience where you’re stuck in a war torn country using stealth as cover to sneak through enemy lines. Be warned as only the smartest and the quickest choose to play as Mercs. They are witty and shrewd never to leave their backs uncovered, unless you’re lucky enough to encounter a noob Merc playing for the first time. It doesn’t mean that the Spies are none the wiser, some veteran Spies can play unnerving mind games leaving the Mercs flustered and counting down the seconds they’ll manage to stay alive. It’s high time people installed some brighter lights in here. One of the psychological hazards of playing as a Mercenary is being unsure whether you can actually trust what your brain is telling you. When you choose to play tough and be a Merc, you better ramp up your brains rather than your firepower, because when you find yourself in that semi dark room with low-watt bulbs glowing dimly and you hear one of them shattering, a chess game starts playing out on the fifth dimension. Let me explain, before you jump to conclusions and move towards the disturbance assuming it’s a Spy who needed that extra cover of darkness; you might want to stop and think again. While you go searching for a Spy in the immediate area, the shot could as well as have been fired from the other side of the room and the very same Spy could be creeping up behind you. So, the next time you hear a light going bust, think again and cover your back, whatever direction you head for. All out assault gameplay at perfectionist level. 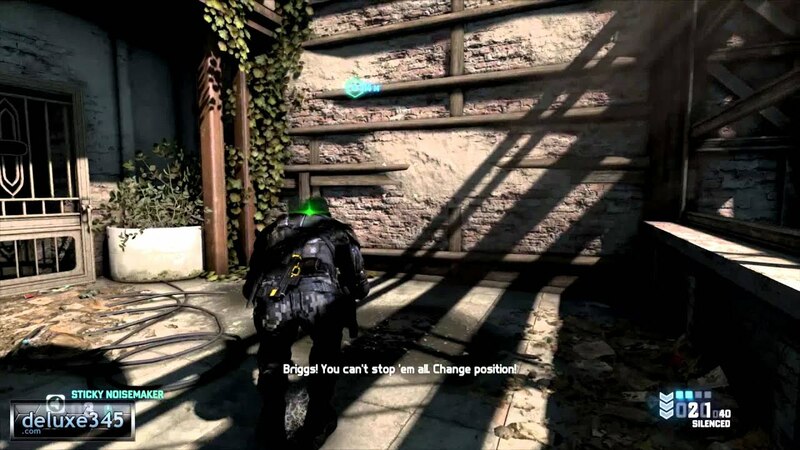 In Tom Clancy’s Splinter Cell: Blacklist, you can actually choose to go on an all out assault run with your weapons hot even in single player missions. It’s a huge deviation from the usual tradition, but it does add a small replay value. The armory has a lot of new additions with heavy arms and very loud weapons like snipers and shotguns. 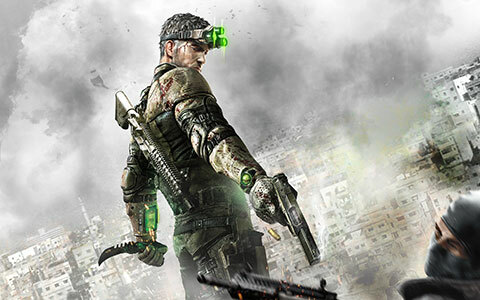 It looks like Splinter Cell is going after a larger audience and doesn’t want to leave behind the action guys who prefer the good old bangs and explosions. Come out… come out… wherever you are. This is the guy, the Black Ops special agent, purveyor of ghost-like stealth. The guy whose work helps keeps countries safe from nuclear threats and the like by scheming terrorists. A guy whose face will never be recognized as the person who saved the country from a major crisis the civilian population will never be aware of, when he walks into a coffee shop. Sam had some issues with his daughter, but the game did a very poor job of showcasing the emotions of a father-daughter relationship. But overall, Sam was a practical character who scoffs whenever there were local thugs with baseball caps instead of professionally trained security guards. 10.Can You Blow My Whistle, Baby? 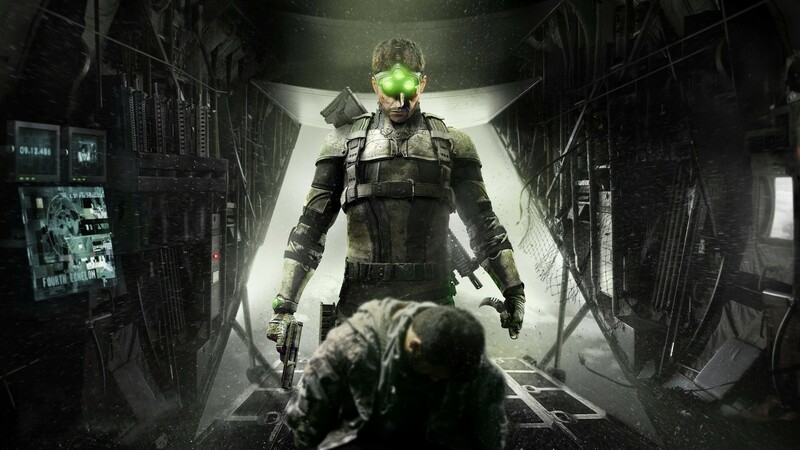 Since I mentioned this on an enigmatic note in the beginning of the article, I guess I have some explaining to do to those readers who are new to Tom Clancy’s Splinter Cell. The whistling feature, first introduced in Pandora Tomorrow, is a fun add-on that lets you distract guards by whistling from a hidden spot. This gives you ample opportunity to sneak around and get behind them, and the guard coming to the conclusion that he probably imagined the whistling noise might be the last thought to cross his mind before it shuts down forever. There are a lot of other innovative ways to use whistling to startle enemies. I’ll leave them up to you to figure them out. Shall we? Splinter Cell is a huge tribute to stealth tactics largely employed by real life vintage spies when the numbers game was not in their favor. In modern times, the concept of spying and espionage has died out and along with it the concept of covertness and stealth. Instead these operations have been made much safer to avoid the unnecessary loss of lives by turning this into a desk job that require extreme hacking skills, and in case of undercover assassinations, the job is left to a microbot drone to inject a lethal dose into its victim. 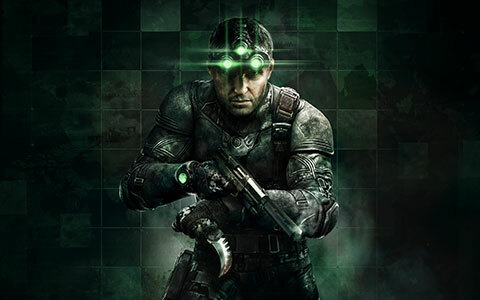 Still Splinter Cell remains as something of a war memorial to all those spies who sacrificed their lives for their country, and whose names we’ll never know or recognize, all lost beneath the tide of history.